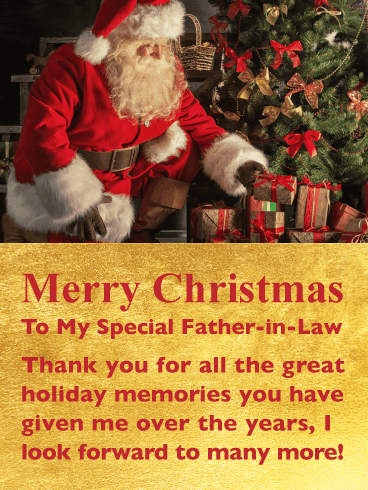 Everyone loves Santa, no matter what their age, and that’s what makes this Merry Christmas card so special. 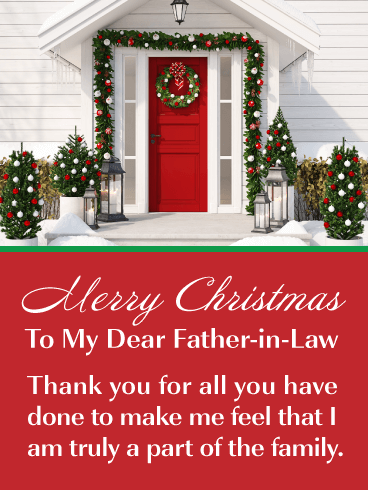 It will allow you to add joy to your father-in-law’s day! 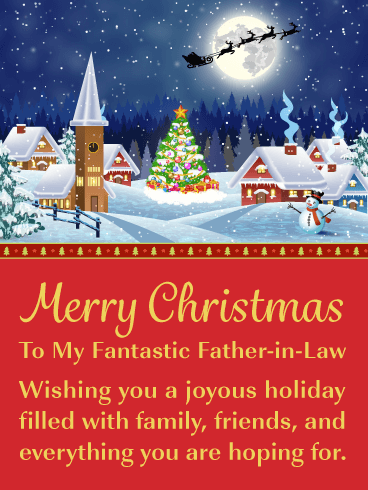 The adorable Santa is surrounded by dazzling sparkling golden lights and a great red background. 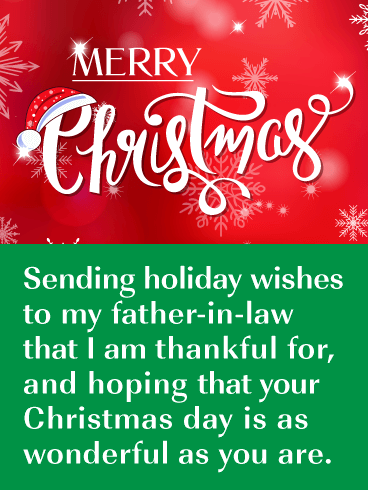 The message is written in gold and white and looks stunning. 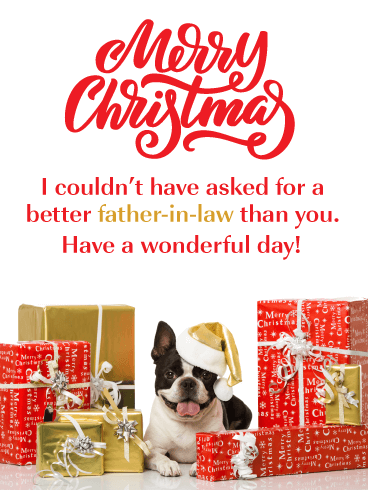 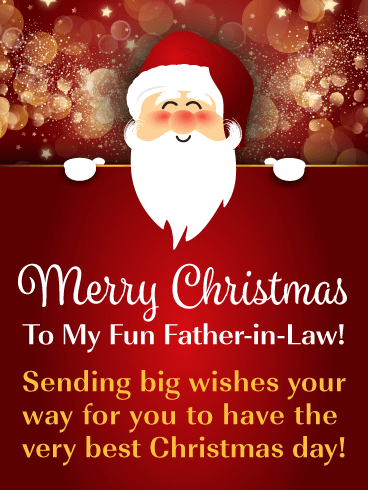 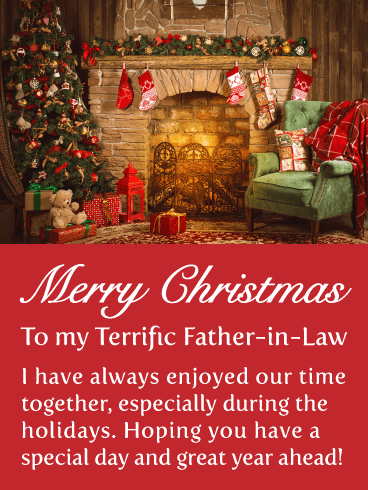 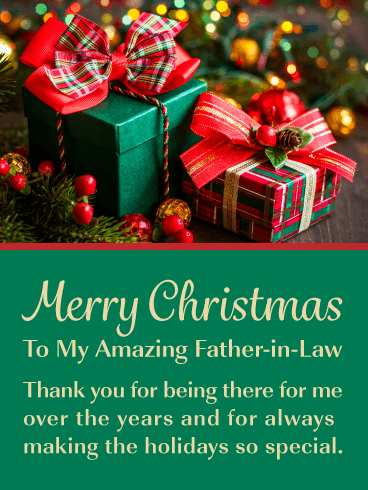 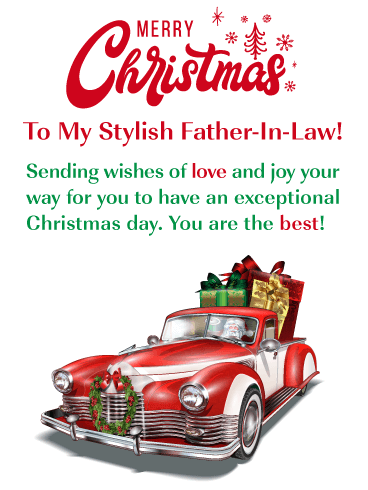 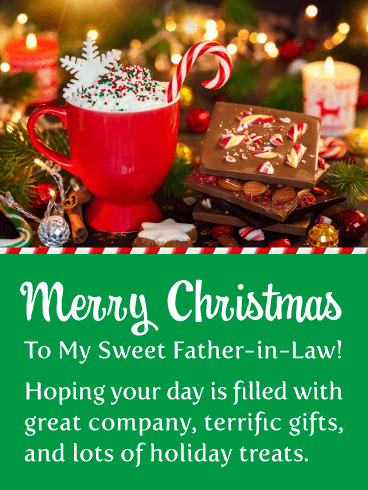 Let your father-in-law know you are wishing him the very best Christmas, it will certainly brighten his day!